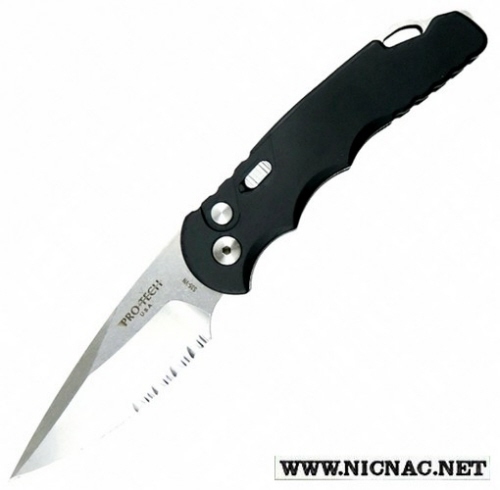 Protech Knives Tactical Response 5 T502 serrated with safety stonewash partial serrated blade. The overall length is 7.625 inches with a blade length of 3.25 and is made for the right hand user. Made in the USA!